If you visit Donnell Century Farm near Jackson on Easter weekend, you’ll see children gathering colorful eggs in baskets, holding baby chicks, posing for pictures with the Easter bunny, and discovering the ins and outs of farm life. 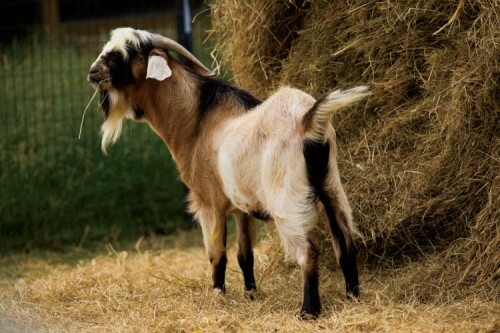 The 175-year old farm hosts an annual Easter egg hunt and spring field trips as part of its agritourism program, which also includes a fall season complete with barnyard animals, a pumpkin patch and a corn maze. Donnell Century Farm has come a long way since founder John Donnell settled on the original 500-acre tract of land in Madison County in 1835. 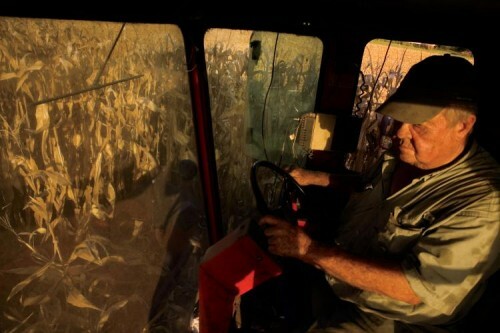 John is now buried in the family cemetery, and his sixth-generation descendents are farming the land he loved. “We celebrated our 175th birthday in 2010 by creating a corn maze in the shape of a birthday cake,” says Rose Ann Donnell, whose husband Billy is a descendent of John Donnell. “Our main business is farming, but in 2005, we started an agritourism business that’s very educational and grows each year. 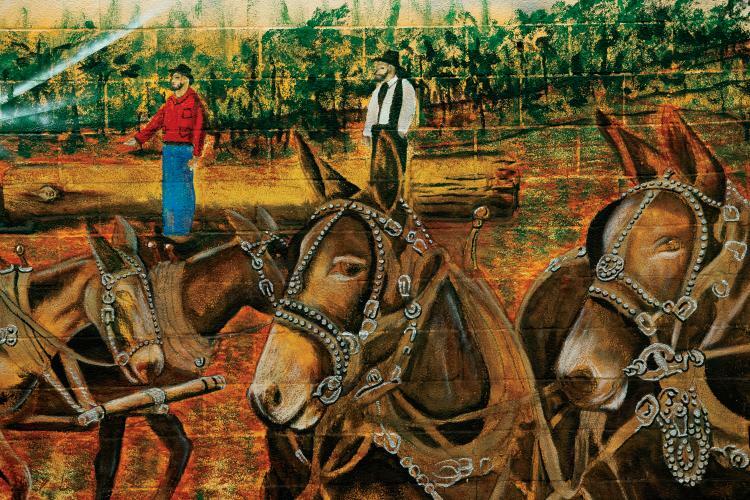 Though much has changed, much has stayed the same on the Donnells’ farm over the last 175 years. It’s still a family operation – Billy and Rose Ann live on the land with their son Andrew, his wife Jessica, and their three children. Together they produce registered Angus cattle, cotton, soybeans, corn, wheat and hay. 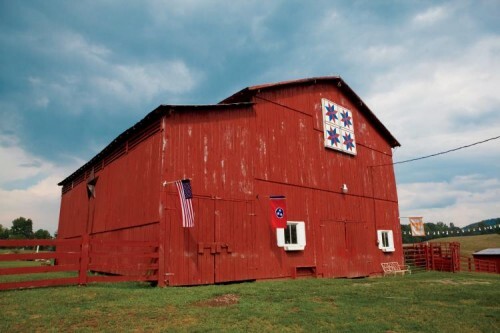 Like more than 1,300 historic farms across Tennessee, the Donnells applied for designation as a century farm through the Tennessee Department of Agriculture. 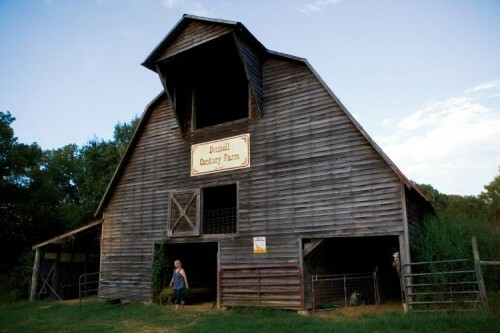 In East Tennessee, Bacon Farm is another century farm, founded in 1891. 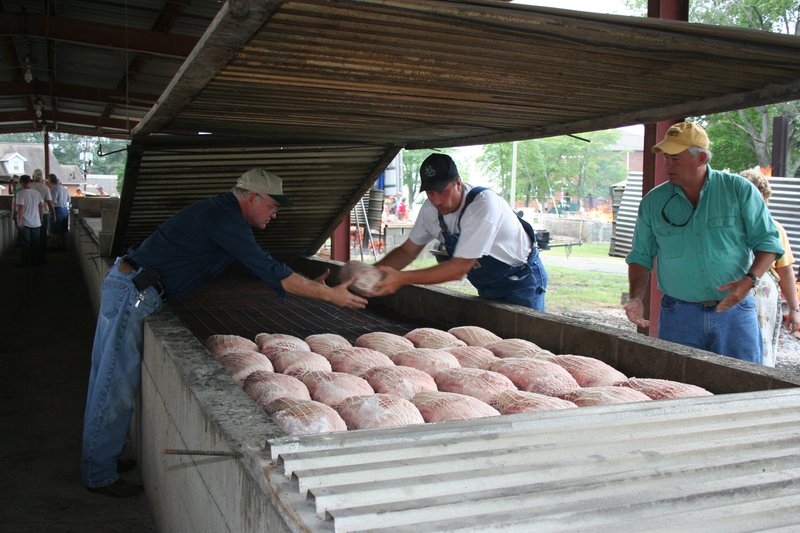 The Washington County farm near Jonesborough is home to Bruce Bacon Jr., a fourth-generation descendent of founder Robert Bacon. Bruce and his wife Debbie live in a brick home they built on the property in the 1970s along with their 23-year-old son, Benjamin. Their older son, Bruce III, lives in the farm’s 110-year-old farmhouse with his wife, Amber, and their two daughters. Bacon is retired from Eastman Chemical Co. and spends his days raising hay and steers and “keeping the farm clean.” Bruce III works for Eastman Chemical Co. like his father did, and Benjamin works for UPS. 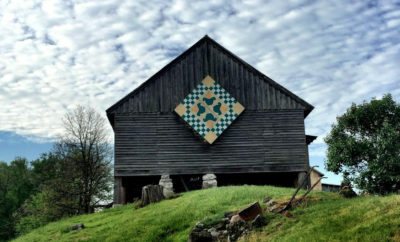 Bacon Farm is part of the Appalachian Quilt Trail and has a replica of the LeMoyne Star quilt pattern (popular in the early 1800s) hanging in the restored 1891 barn. In Middle Tennessee, Ozburn Hollow Farm has been rooted in Williamson County near Arrington for more than two centuries. Revolutionary War veteran Robert Ozburn established the 500-acre homestead in 1804, and his descendent (a successful Nashville businessman) Frank Perry Ozburn acquired the property in 1976. Ozburn Hollow Farm is now home to the eighth generation of Ozburns as well as a restored log house, smokehouse, springhouse and log barn from the 19th century. In 2006, Perry and his wife Elaine donated a conservation easement on the farm to The Land Trust for Tennessee to protect it from being divided and developed in rapidly growing Williamson County. 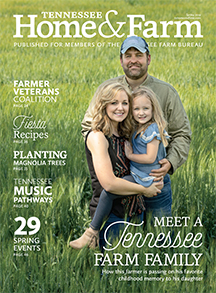 Meanwhile, back in West Tennessee, the Donnells are doing their best to help people understand the importance of farming, whether 100 years ago or today. What is a Tennessee Century Farm? 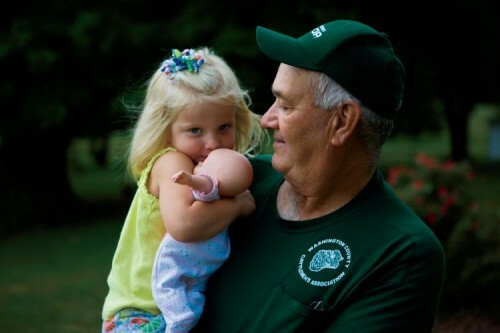 Established by the Tennessee Department of Agriculture in 1975 as part of our nation’s bicentennial celebration, the Tennessee Century Farms Program honors the dedication of families who have owned and farmed the same land for at least 100 years. The statewide program has more than 1,300 certified century farms, 134 of which are more than 200 years old. To see eligibility requirements or to register your farm, visit www.tncenturyfarms.org or call (615) 898-2947.
i saw the name barr whoch is my grandmothers maidin name from up where you live. maybe a relitive.